Michael Harris began his musical career as a chorister at Gloucester Cathedral. He studied at the University of Oxford, where he was Organ Scholar at St Peter’s College, and then at the Royal College of Music, taking a Postgraduate Diploma in Organ and Conducting. 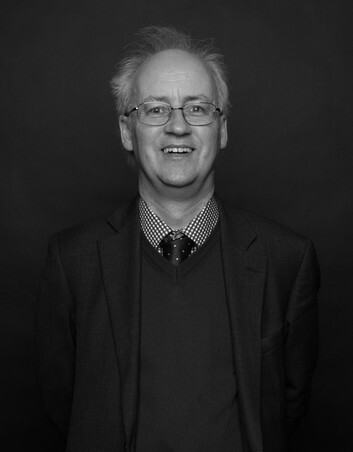 Michael is Organist and Master of the Music of St Giles’ Cathedral, Edinburgh, a post he holds in conjunction with a music lectureship at the Ian Tomlin School of Music at Edinburgh Napier University. He teaches music history, conducting, performance practice, final year performance, and directs the Chamber Choir. Prior to moving to Edinburgh he held posts as Sub-Organist of Leeds Parish Church and Assistant Organist of Canterbury Cathedral. As Organist of St Giles’ Cathedral his work has involved him in numerous recordings and broadcasts, both for Television and Radio. The Cathedral Choir has recently issued two new discs on St Giles’ own recording label, Aegidius; O Clap Your Hands: A Century of Inspiration AGD 001, an exciting disc of choral music written since 1914 including works by young Edinburgh composers Chris Hutchings and Stuart Murray-Mitchell. Michael has given organ recitals at many venues in Germany, Belgium, Italy, Norway, Poland, USA, Australia and New Zealand, as well as in the UK, where he has played in several major venues. He was Music Director of the Scottish Chamber Choir from 1998 to 2010, and is founder director of an a cappella vocal ensemble, CanticaAlba, who have given concerts in Scotland, Denmark, Germany and Malta.